Think you have what it takes to impress a queen? There’s gold in it for you if you can! From Core Gaming, it is our esteem pleasure to introduce you to royalty! The Egyptian Queen is one that looks fondly on whoever approaches her with all the confidence in the world! This slot is a 5 reel by 25 pay-line sort of slot, one that you can get a grasp on pretty quickly from only a handful of spins! The highlights of this slot come via the visuals and sound design, but also the choice in features that are very well-crafted and will inspire you to spin for hours on end! 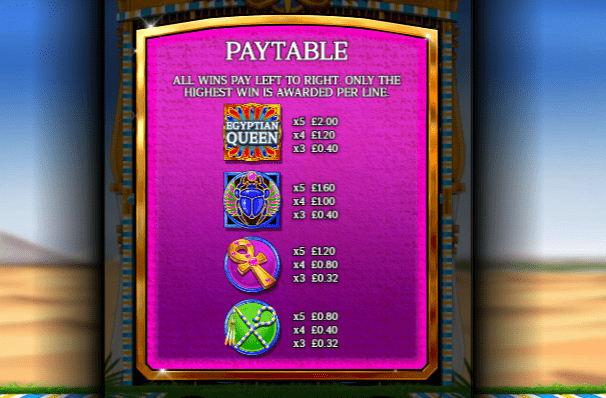 If you wish to learn more about this lavish online slot, then why not read the rest of the WS review down below! If you were expecting big bold gold colours, then worry not, because Core Gaming has got you covered. 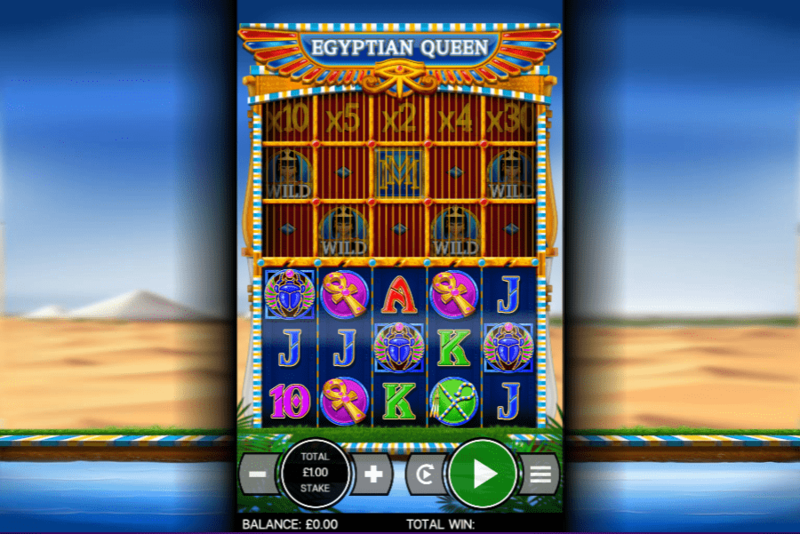 The look and feel of one of the best 3D slots do a very good job at keeping you playing in ancient Egypt times for as long as you desire. Mega Multiplier: Activated from the middle reels only, this feature will allow you to turn standard scores into massive blocks! You can earn up to 100x times the base score of certain symbols here! Which is perfect for those chasing the big payouts. Free Spins: Another way of chasing the multipliers here comes via the free spins round. Simply match as few as 3 scatter symbols in order to unlock free spin rounds in return. These rounds play very similar to the base game only everything is heightened for you.